Lori Hairston: Use your Trash and Who Won? Do you save all the little paper pieces left over from your creations? I think it's a great idea, but sometimes I have to rethink my storage. If I could solve that problem, I'd be THRILLED! Awhile back I made a couple of scotty dog cards that used a very sweet doily. Of course, I had saved the trash - I mean negative space, of course! I decided to put my hoarding - I mean saving - to good use. 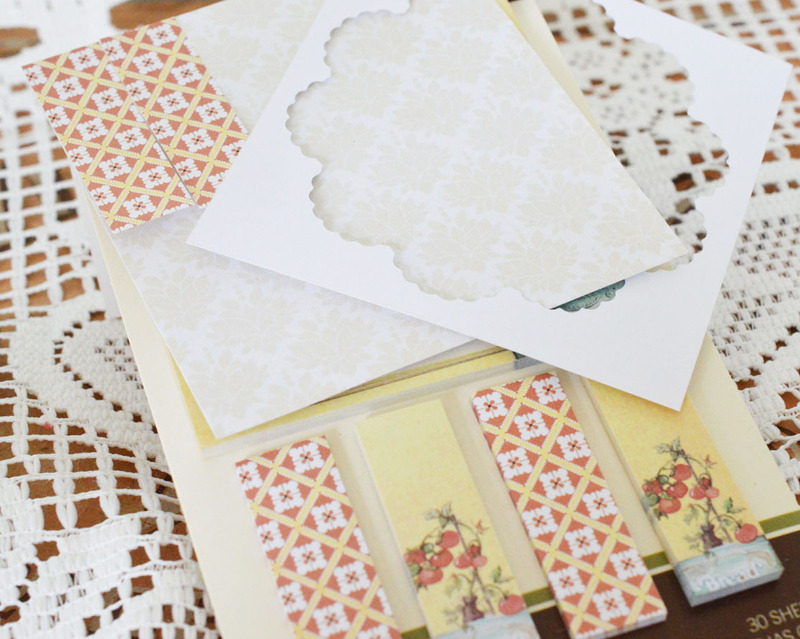 The patterned paper is also a saved item. I added some other things I had picked up in the infamous Michaels dollar bins including the butterflies and post it notes and I was in business. Amazing, a card started with trash! 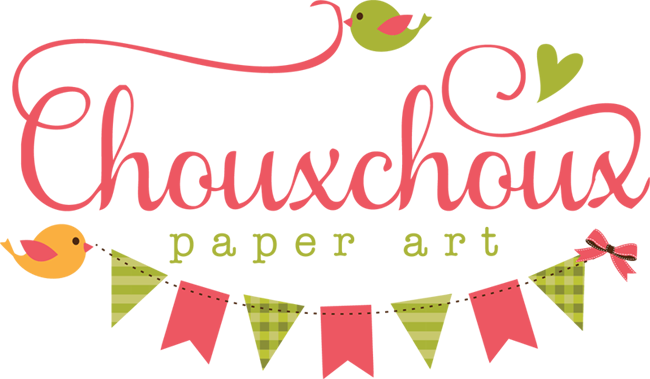 Now, who is the winner of my PaperHaus Magazine Blog Hop giveaway? 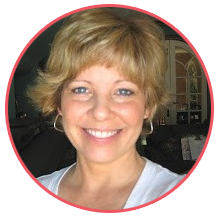 The winner is...(drumroll, please)... Karen Ladd!!!!!! Karen, email me (link at right) with your address and I'll get your goodies to you ASAP! 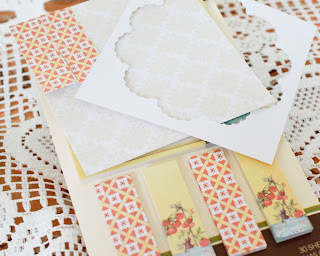 Thank you to everyone who participated in the blog hop and congratulations Karen! Super cute card Lori! I really like how you chose to use your scraps! Wow!! Very beautiful!! Congrats to the winner! I love it Lori and what a great way to use the negative space!! 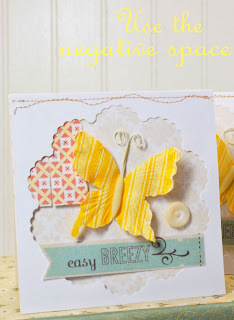 What a great idea to use up those scraps Lori, it's a good thing not to throw things away too easily, as your pretty card shows! Thanks so much for your giveaway! off to email you. 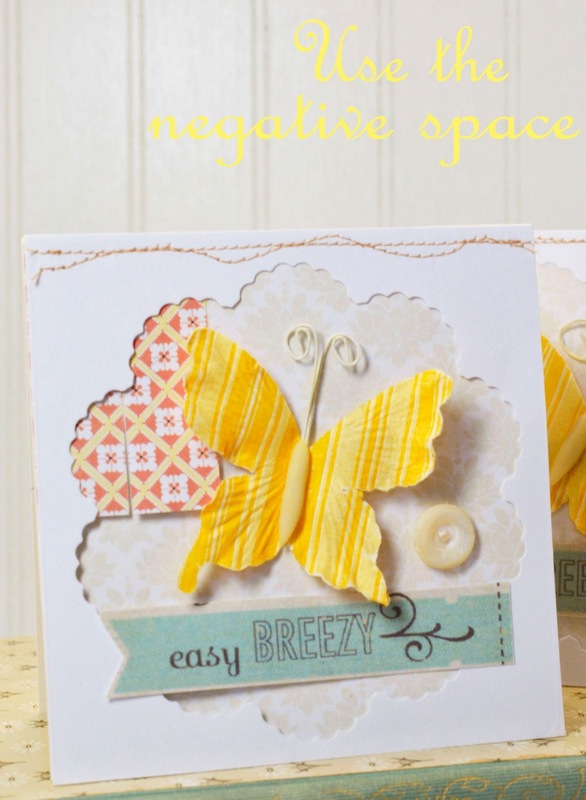 And I LOVE this card, especially those bright yellow butterflies. Always like using up scraps and leftovers too! This is so cute. I just love how you used that negative space. Well done my friend. Lori...yes I do save all my scraps...even have a designated home for them...lol...I saw your fabulous card on Make it Monday and had to stop by...love your card and blog...thanks for sharing. 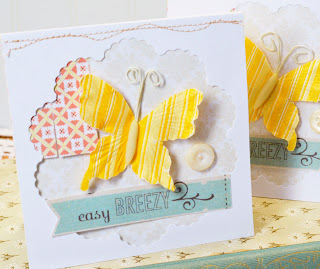 A very pretty shaped card Lori and your butterfly is so cheerful. Thanks for joining us at Make It Monday. Just dropped by from MIM. Love how you used up your scraps. I have been doing that a lot lately too. My scrap bin was overflowing and I decided to put the scraps to use and make a batch of cards for OWH. OMG Lori,,,,,,,it is stunning, love the yellow butterfly and all over the scallope shape,,,,,LOVE IT, LOVE IT. LOL. I love your use of the "negative space" (I too keep too much "trash"). 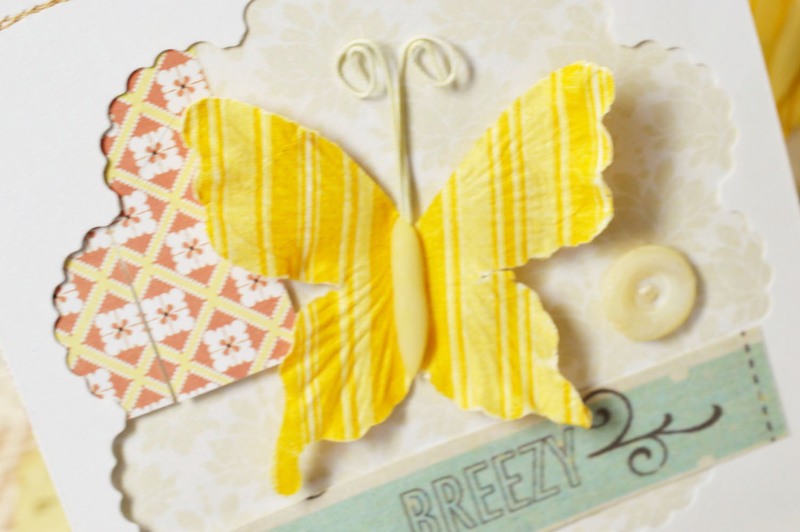 Love butterflies, so the yellow cutie is a favorite. I linked over from the Sweet Stampin Challenge where I am playing along too.